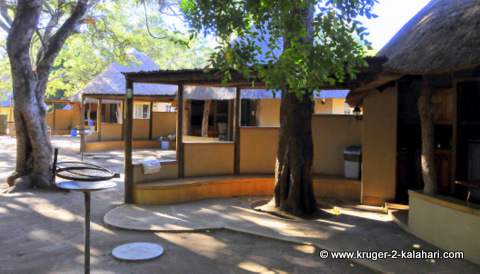 Letaba camp is a very lush camp - when you drive in the entrance gate the foliage tends to envelope you, making it a very shady and welcoming camp. 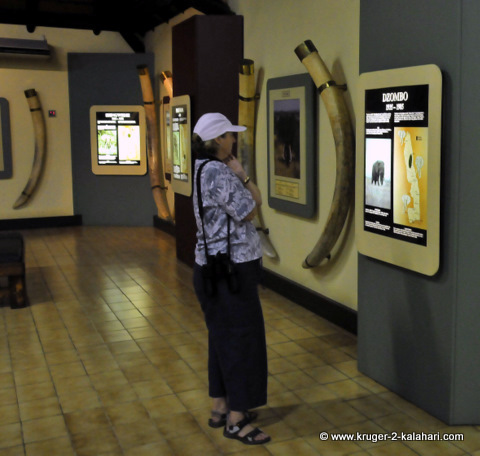 The camp has an elephant museum that is well worth a visit. 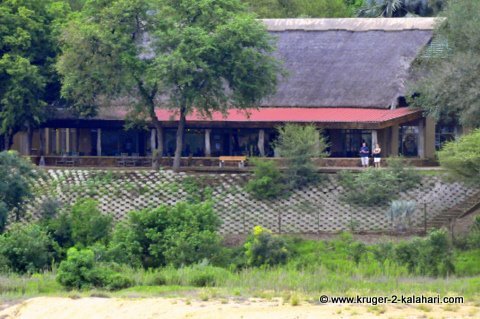 You can see first hand just how large the tusks are of the Kruger's 'magnificent-seven' elephants. If you would like to read more about the Kruger Park's big tuskers please download the PDF document here It describes all the known elephants that carried big ivory tusks, including the famous Magnificent Seven who all died in the 1980's. The document contains detailed descriptions of the elephnats, their territories and photographs of these impressive animals. The area is good for elephants, buffalo, leopard and lion. Bird-life is prolific here due to the river and dense bush. This page has been created to allow visitors to post their special stories and pictures for others to see. Have A Great Story About Your stay at Letaba? 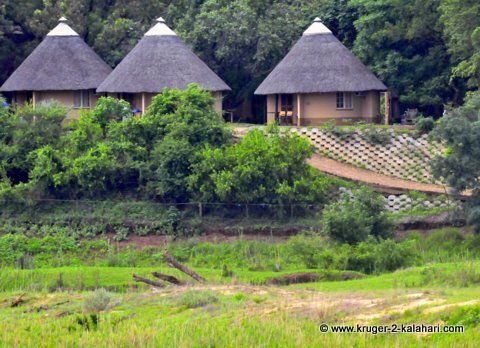 Do you have a great story to tell and photographs to show about your stay at Letaba Camp? Please Share them!